Set in the centre of Whitley Bay, our Whitley Bay branch works closely with our Tynemouth branch to maintain market share at the coast. Led by Rachael Trick, this vibrant team offers exemplary service and unrivalled experience. The main areas we cover include; Whitley Bay, Monkseaton, West Monkseaton, Wellfield, New York, Preston Grange, Earsdon, Shiremoor, Northumberland Park, West Allotment, Backworth, Hollywell, Seaton Delaval, Seaton Sluice, New Hartley, Old Hartley, Blyth, and Newbiggin-by-the-Sea. If you’re looking to move, or if you simply need some advice, give our friendly team a call on 0191 251 3000. Our branch is open from 9.00am to 5.30pm Monday to Friday, and from 9.00am to 4.00pm on Saturdays. 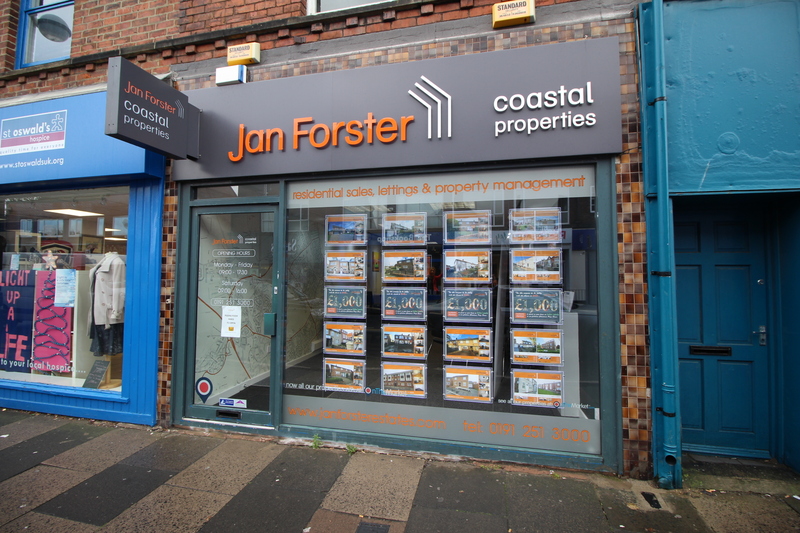 “I started at Jan Forster Estates as a Sales Advisor in 2014 and am delighted to have been appointed as Sales Manager at our Whitley Bay branch. I am passionate about maintaining and building upon our reputation as a market-leading coastal agent by ensuring the moving process is as smooth and stress free as possible for our valued clients. We are known for our exceptional customer service as well as our innovative and bespoke marketing and I love the fact that as as family-run independent agent we can tailor our packages to suit our clients requirements. If you're looking for a coastal agent with a proven track record of achieving results then why not get in touch. The friendly team here at Whitley Bay would love to assist you with your move." "You could be forgiven for thinking all Estate Agents are the same and that they use all the same methods to achieve the goal of selling your home or letting a property you own. To a certain degree this is true and there are many similarities. But believe me when I say this, this is where the similarities end. I have worked in this industry now for some 28 years. My previous appointments have been as a senior sales manager leading one of the most successful Estate Agencies. I have a corporate/private background and have the status as a professionally qualified Estate Agent obtaining N.A.E.A / NFOPP levels which are industry recognised professional awards. Communication is the key in this business and this is where Jan Forster Estates are second to none. So if you are not hearing from your current agent with regular feedback and a constant stream of advice as to how your property is performing then they are not performing for you. Jan Forster Estates are without doubt the most effective and passionate sales staff I have ever worked with. Churning out result after result and getting people from A-B with minimum fuss and in a timescale that was more than comfortable. So this is the main difference, a passion for the industry and ultimate respect for the Vendor or the purchaser whom engages our services."